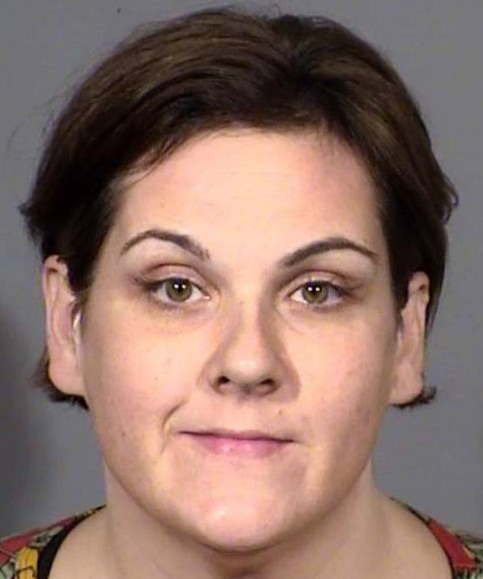 Shelby McCann, the former financial controller for Card Player Media, LLC, parent company of CardPlayer Magazine, has been indicted on two dozen felonies and gross misdemeanors connected with the alleged embezzlement of roughly $1.1 million from Card Player Media corporate accounts during virtually the entire period of her employment, 2011-2016. 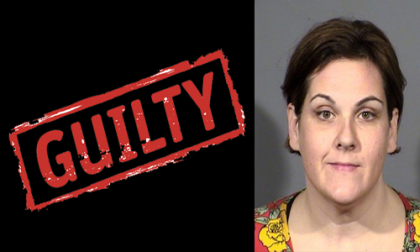 McCann, 38, of Captain Cook, Hawaii, was officially indicted by a Clark County (Nevada) District Court grand jury on Thursday, August 30, following a months-long investigation by the Clark County District Attorney’s Office. McCann, who worked under the name Anna McCann, was arrested by Hawaiian authorities in May and had been held there without bail pending the official filing of charges in Nevada. Extradition procedures are in process, and according to Clark County court records, bail has already been set at $50,000 in the case. McCann was represented in absentia by a Clark County public defender, and she will be arraigned on the multiple charges on September 17. One of Card Player Media’s owners and also its corporate counsel, Allyn Jaffrey Shulman, gave multiple, brief statements in the wake of Thursday’s indictment. Speaking to PokerNews, Jaffrey Shulman alleged that McCann’s actual embezzlement was closer to $1.4 million. Jaffrey Shulman also alleged that McCann, who previously lived and worked in California and Nevada, used some of the money to pay for her family’s move to Hawaii. Other alleged self-disbursements included “upwards” of $22,000 to a crowdfunding effort supporting McCann and her husband’s efforts to adopt a child in 2014. McCann also wrote corporate checks to herself to pay off credit-card bills and other debts, according to the allegations. Separately, to the LVRJ, Jaffrey Shulman said that Card Player Media was unaware of the long-term embezzlement until they discovered there was no money left to pay the company’s bills. “All of the sudden there was no money to pay the bills,” Jaffrey Shulman told the Vegas paper. “This made us start thinking: What the heck is going on?” Shulman’s husband, Barry, and her son, Jeffrey, both also Card Player executives and owners, each put $20,000 back into the company to help cover short-term expenses. The background of the case dates back to 2011’s “Black Friday” shakeup of the poker industry. Though famed for its CardPlayer Magazine, which was founded in 1988 by June Field, the company for the second half of its existence has derived most of its revenue from affiliate referrals to online poker sites. The company and magazine were purchased by the Shulmans in 1998, and the company dove into the online-poker business in a major way. Card Player Media served as a “super affiliate” for UltimateBet and assisted in that site’s market-launch efforts, bringing UB its first customers beyond those recruited by the site’s own insiders. As such, Card Player Media was significantly impacted by 2011’s “Black Friday” crackdown, which forced UltimateBet (then UB.com), sister site Absolute Poker, and market giants PokerStars and Full Tilt Poker out of the United States market; all the sites except for PokerStars collapsed within weeks. Deprived of its major revenue sources, according to the reports, Card Player Media axed about 90% of its work force. However, it was amid these layoffs, in September 2011, that the company hired McCann. McCann appears to have accepted the position with Card Player for a well-below-market salary of $37,000 per year, perhaps as a replacement for a higher-paid controller. Also unexplained, amid the allegations and Nevada indictment, is how Card Player failed to conduct any internal audits during the full five years of McCann’s employment that should have uncovered some of the blatant embezzlement now alleged, such as the claimed self-disbursements. The charges against her are so over the top it’s absurd. Without giving too much detail, they reported to police that every dime she made there over a base $37k/year salary was fraudulent and unauthorized. Anna had worked for 2 law firms in CA in the capacity as a controller/ Accountant before this employer. She was bonded in both CA and NV. This is vindictive retaliation and I am fully motivated to defend Anna and punish the individuals responsible for inflicting this type of harm to her and our family. But I need help. This is entertainment to her accusers and they have deep pockets. My initial goal is to cover her bail bond and to provide a retainer to a defense attorney. I don’t know when or what the end scenario is for this situation, but I refuse to allow a couple of rich assholes use the criminal justice system to cause harm and provide themselves entertainment. Currently Anna can do nothing but sit in jail here in Hawaii. 2 separate attorneys have informed me that I can’t even get a hearing for bail reduction or to throw the case out until she is moved to Nevada. Best case scenario right now is she sits in jail for another 35 days or so because Nevada decides to not come pick her up. Personally, I hope this speeds up and we get a chance in court. I personally am looking forward to ripping a Metro detective’s lazy investigative skills apart and calling out some professional liars in front of a judge. That message is no longer visible and the crowdfunding campaign has been closed, having raised only $468 of the $2,000 it sought. Also no longer active is the crowdfunding effort launched by the McCanns in connection with their adoption efforts, the one presumably linked to the illicit donation allegedly made from Card Player’s corporate account. That campaign was started on the former crowdfunding site YouCaring.com, which was later acquired and rolled into the larger and better-known GoFundMe. The McCanns also started a Twitter page (@themcannsadopt) as part of their fundraising efforts. That Twitter account in turn leads to a blog briefly maintained by the couple. In an apparent irony, the last entry on that blog, from November 2014, dealt with adoption scammers.